We have a vast experience of porches and canopies and can help you with the wide range of options. They are available made from either high-quality Upvc or brick-built. 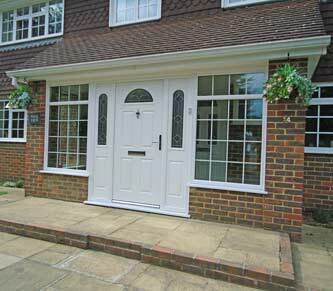 For many homes a quality porch is ideal as it gives a barrier against the weather when the front door is used. A well designed and constructed PVC porch will add to your comfort, save on heating bills, provide another level of security and offer a stylish entrance to your home. Porches provide warmth, security and they are virtually maintenance free! Bahama applies the same exacting standards for surveying, designing and building your porch as we do with our conservatories and windows and you can expect your porch to perform flawlessly for years to come. A PVC porch will sit comfortably with your property no matter what style it is, as it is tailor-made to your exact requirement for its shape, size and glazing option.